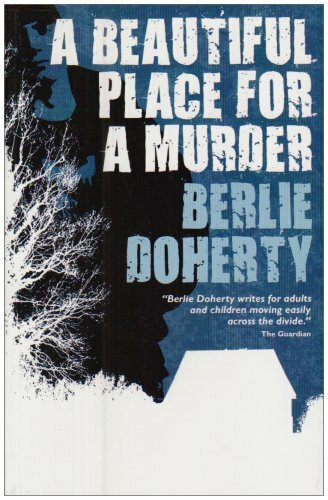 In this novel Doherty ventures into crime fiction. Set in her native Derbyshire, a strong element of the book is Doherty’s recreation of the landscape and the life of a small, close community. Recounted in the first person by teenager Shaun Parker who becomes involved with the mysterious disappearance of a reclusive neighbour when he finds her purse, the novel tells how his effort to return it makes him a prime suspect for her murder. Caroline, Shaun’s close friend, and now object of romantic attraction for him, takes a proactive role in encouraging him to clear his name by investigating the mystery focused on the elusive Win Lingworth. Shaun’s sense of frustration and growing fear as the police question him mingle with his developing feelings for Caroline. The ending is clever, but perhaps because it comes too fast in an otherwise well-paced story, does rather strain belief. And a significant revelation by Shaun’s mother about his missing father is presented almost as an aside. This may be because of constraints on the length of the text and to keep the focus as a murder mystery. With its short chapters and direct prose this novel is accessible to hesitant readers, but as well as enjoying a good story more competent readers will also find elements here to ensnare the imagination.